Yes it is that time of the year again to golek some kueh ee. A year went by just like this and we have all become a year older, and hopefully wiser. As the holiday season arrives, mood relaxes as one winds down for a period of festivities and celebrations, as it is just a couple more days to Christmas and shortly after, the New Year. Like what was mentioned during last year’s Tang Chek, the coming of Winter Solstice marks the beginning of the spring cleaning and preparatory work that leads up to the Lunar New Year. So its time to get busy as well! Red and white are the colore de facto for the Peranakan kueh ee, clear and distinct, as red has always been regarded as being “auspicious” by the Chinese and widely used within major cultural practices, from the hanging of the “chai kee” (red door hanging banner), “chun lian” (door couplets with auspicious writing written on red paper), kueh koo merah aka ang koo kueh (red tortoise shaped kueh), red paper cuttings to be pasted on windows and doors, as well on religious offerings for deity and ancestral worship, down to the angbaos (red packets) ! I was told by an eldery Baba that the red kueh ee likens “wee sit“, which shares the same cultural significance as angbaos, which are given as a form of a monetary blessing! It is customary for one to eat at least one red and one white kueh ee, to remind oneself that one is one year older and thus one year wiser and should act more responsibly. The Peranakans make their kueh ee really dainty and “kechik” (small) so that they look more “alus” (refined) while the person eating them can do it in an utmost “senonoh” (elegant and graceful) manner. 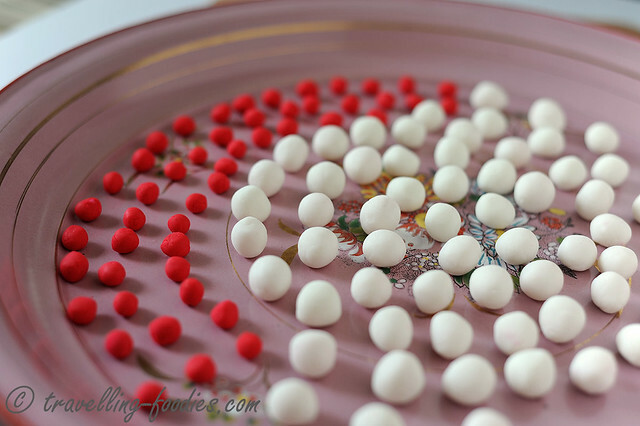 Making them really small also allows more to be filled in each little “mangkok chuchi mulot” (dessert bowl) where the sheer numbers is symbolic of abundance and wealth as well. In the old days, glutinous rice used has to be carefully sifted and selected before being presoaked for a couple of hours and then milled by the old fashion stone grinder called the “batu boh“. The milled starchy suspension is then drained in a muslin bag, pressed by the large stone slab of the “batu giling” to squeeze out the excess water. Hot water is then added in moderation to form a dough when is then “golek” (rolled into balls) into the pearly kueh ee we see. Nowadays, most folks settle for the easier way to make kueh ee with storebought tepong pulot (glutinous rice flour) and just “chiong” with ayer panair (hot water) to form the dough. Convenience at hand is traded off with the faint yet alluring aroma of soaked and freshly milled pulot, something which the younger generation may not have a chance to enjoy anymore. Void of the fragrance of pulot, kueh ee made from tepong pulot is actually quite tasteless if you ask me. This is precisely why kueh ee is served in a sweet broth, usually one with gula batu (rock sugar) and pleasantly flavoured by daon pandan, or for a more colloquial touch, a gingery broth sweetened with gula melaka (palm sugar) and slices of halia. Some also serve kueh ee in a kuah pengat where the broth is further enriched with santan (fresh coconut milk). I would imagine kueh ee to be more enjoyable if they were sweet as well. So do let the kueh ee sit in the syrup broth for a while before serving. 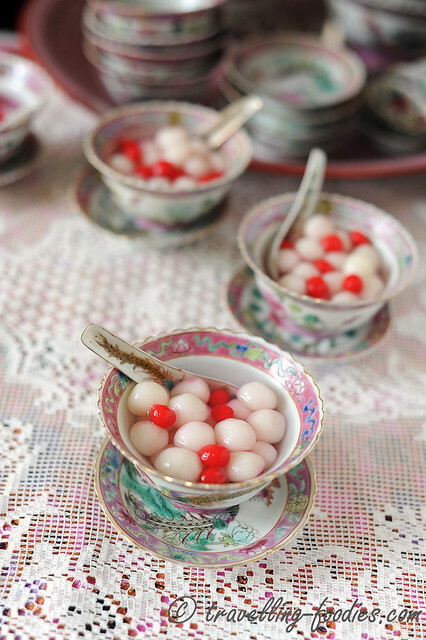 After washing hands thoroughly, prepare glutinous rice dough by first adding a portion of hot water to glutinous rice flour in a large bowl and mixing well to incorporate. Gradually add more syrup until “play dough” or “soft clay” texture is achieved. To make kueh ee, divide the glutinous rice dough into three portions. 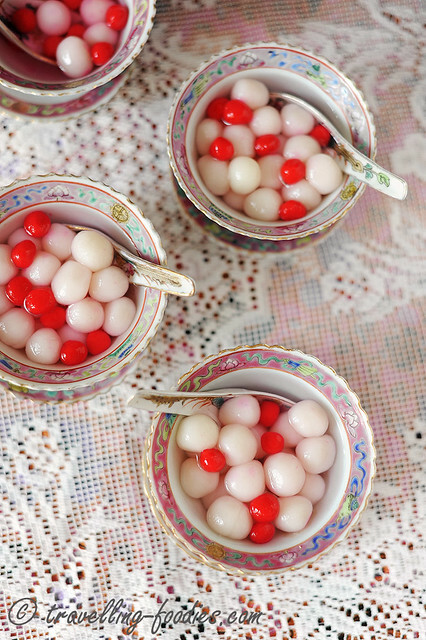 To one portion, add a small amount of red food colouring. Fold the dough repeatedly until the red coloration is uniform. 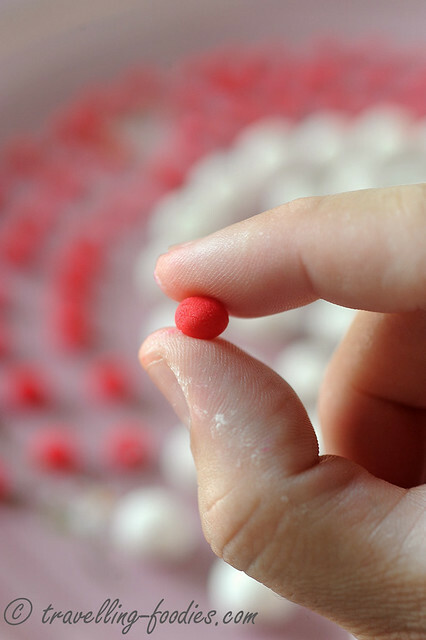 Pinch and divide the dough into small clumps and proceed to roll them into small balls between your palms. You can also shape the dough between finger tips if they are too small. Set aside to let the surface dry out slightly. This is why kueh ee preparation starts after dinner on the eve of Tang Chek for some families. To another pot, place water, rock sugar and pandan leaves and bring the mixture to a boil. Cover with lid, lower flame and let the mixture simmer for another 5-10 min for the fragrance of the pandan leaves to infuse into the sweet broth. 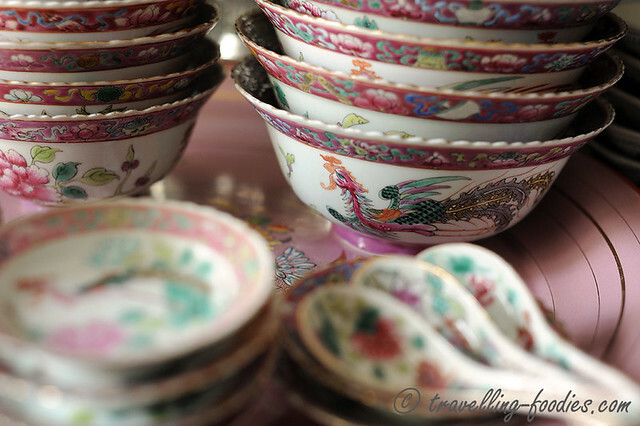 This entry was posted on December 21, 2014 by Alan (travellingfoodies). 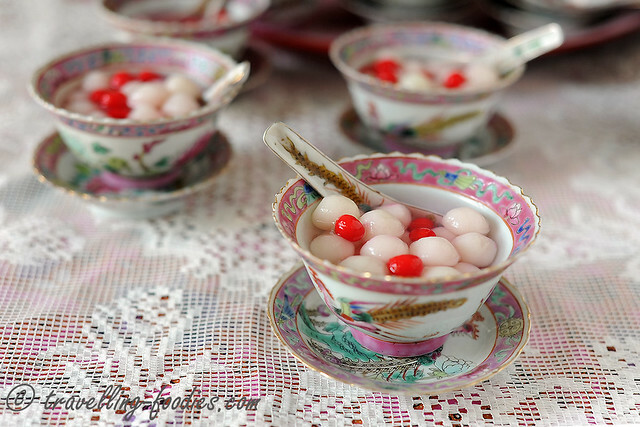 It was filed under Food, Simple Eats and was tagged with Baba, dongzhi, kueh ee, Nonya, Nyonya, Peranakan, straits chinese, tang chek, tangyuan, winter solstice, 冬至, 汤圆. Looks good. Colors are very well-coordinated too.